Some of the problems we face as iPhone users are those caused by accounts registered on the device. Sometimes, it could also be as a result of the inability to remember passwords; hence, your Apple ID is disabled. So what to do when your Apple ID is disabled? In this article, we would like to provide ways on how to fix disabled Apple ID. There are 3 options you should consider choosing from in enabling your account. 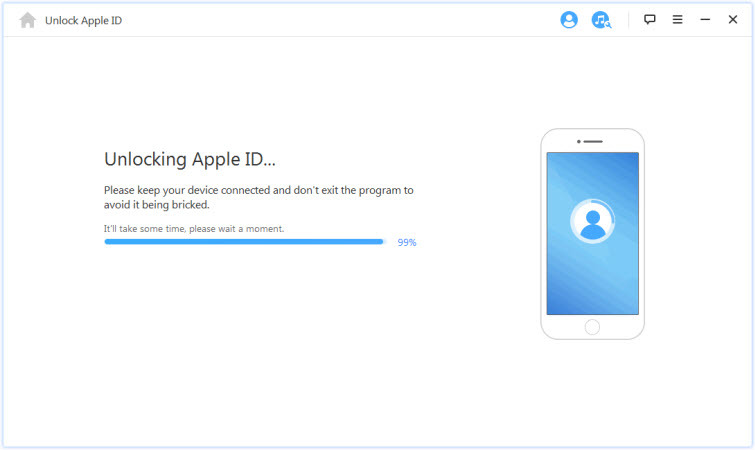 One of the most common ways to fix iDevice-related problem is to visit the official website specially designed by Apple to fix such problems, and one of them is appleid.apple.coms. This site controls all that is related to Apple accounts, helping users to recover or enable their ID easily. However, it is advisable to access the site using a computer rather than phone for convenience and easy navigation. Step 1: On your computer, visit appleid.apple.com and click on either Forgot Apple ID or Password. Step 2: Fill in your registered email address linked to Apple ID and pass the security protocol. Click on “Continue” to proceed. Step 3: Reset password either by email or security questions. Pick one that suits you and go on with fixing your disabled device. Step 4: Think of a new password and confirm that it is registered. Step 5: Finally, your account is fixed and it is no more disabled or locked. N.B: If you don’t know the email address linked to the account, you can check through for one that which would show up on your settings. Advancement in technology has brought about a better alternative to fixing Apple ID issues. In just a few minutes, you can now fix your device the perfect way you want it. The introduction of the unlock tool, iMyFone LockWiper has made this possible. If you would like to know more about it, read below on its features and steps on how to use it fix your disabled Apple ID problem. Unlock a user’s disabled Apple ID without making use of a password in less than a minute. 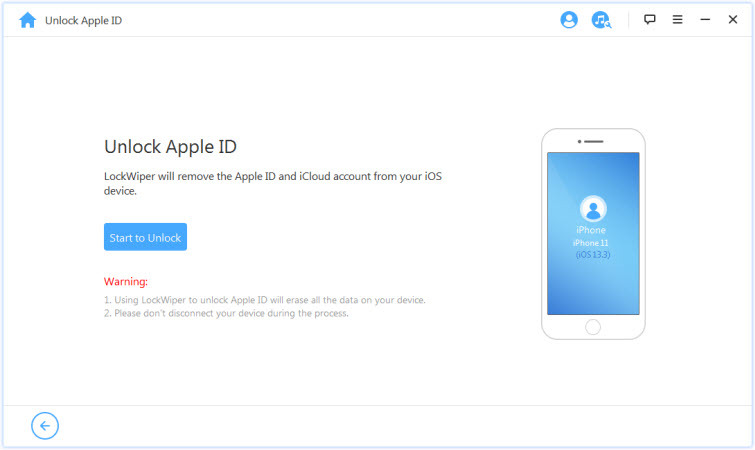 Removes Apple ID completely from a device such as iPhone, iPad and iPod touch. Gives complete control of device back to the user after the removal process has ended. iCloud services are easily accessed by users, including its features. 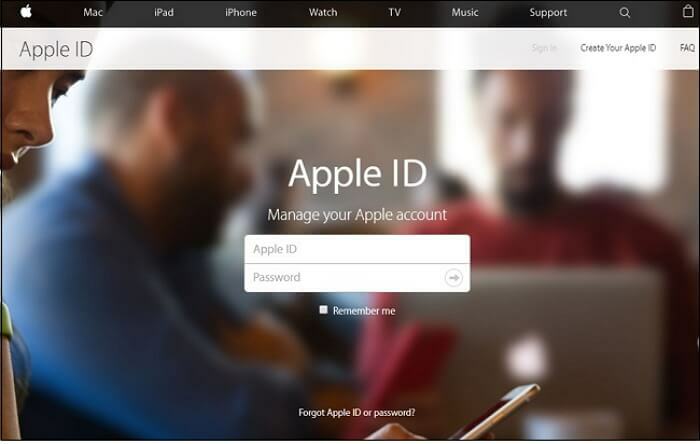 On how to enable an Apple ID on a device, you should take the following steps carefully. Step 1. On your computer, download, install and launch the unlock tool - iMyFone LockWiper. Step 2. Choose the “Remove Apple ID” mode and click on “Start to Unlock” to begin the process. Step 3. After that, it will start unlocking your disabled Apple ID on your device. Note: If “Find My iPhone” is still enabled, you should then reset everything from the setting. To do that, follow Settings > General > Reset All Settings, and Confirm to Reset all settings. Step 4. Once this has ended, the Apple ID and iCloud account are automatically removed. The removal of the accounts means disability is fixed and have now been enabled back for activity. Note: There are limitations in unlocking the disabled devices, please make sure that your devices are already activated. One last method you can try out is directly contact Apple via their support group to attend to issues relating to your Apple ID. This is the best way to talk to someone from Apple, and this approach is most suitable when all other methods have proven abortive. Hence, all you need is to visit the Apple Support Website (getsupport.apple.com). Step 1: Visit getsupport.apple.com on your computer (use computer for easy navigation and access). Step 2: Select “Apple ID” from the menu. Step 3: Choose “Disabled Apple ID” from the options available. Step 4: Proceed to pick a call from their customer service rep. 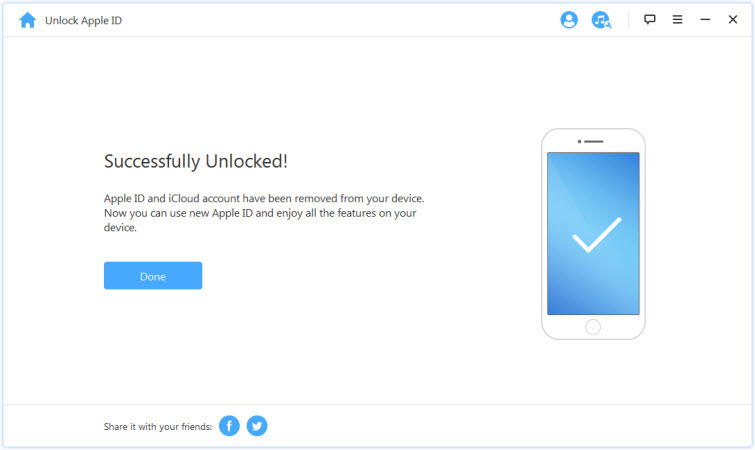 Undoubtedly, the most appropriate and 100 % effective method of fixing a disabled Apple ID on an iPhone is with the use of the unlock tool – iMyFone LockWiper . It is fast, easy, simple to do once all things are in place, and useful over time. There are chances that contacting apple support may not help the way you expect, or fixing from the site could still cause further issues. Get help today from an unlock tool with maximum performance and worry less on how to fix disabled Apple ID!